What's your interest the rural landscape and farming? Everyone has a connection to farming via the food that we eat. It is important to be informed about what happens in our landscape and how our food is grown. The Reed Warbler called and the National Library of Australia (NLA) theatre filled with people who are interested in their role within the landscape. 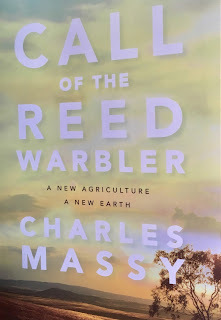 We gathered to listen to Charles Massy talk about his new book, Call of the Reed Warbler. We have experienced dust storms in summer. We have heard about the need to plant trees and preserve our wildlife and wilderness. We have heard about how traditional methods of farming have contributed to the degradation of our landscape. We hear about genetically modified food but could our farming practices be impacting our health? In the early 1980s my family bought land in the Cooma region as a weekend get away. We inherited a degraded landscape. Our hobby farm was a landscape of steep hills, mostly treeless plus some flatter 'farming' land. Walking across the landscape there were noxious weeds growing, introduced pasture grasses, erosion gullies deeper than four metres in some places and a few rabbit warrens. As new hobby farmers what did we do to the landscape? We used traditional farming methods. We built a few dams along the erosion gullies - these kept silting up. We reintroduced set stocking of sheep to the landscape. The sheep huddled amongst the thistles under our few lone paddock trees. The lone paddock trees were large and majestic but far from healthy. The tree's foliage looked unhealthy with mistletoe growing in the canopy. The introduced pastures around the paddock trees were fertilised from time to time with super-phosphate. As the serrated tussock and thistles spread across the landscape we sprayed them with glyphosate and one time participated in aerial spraying. To help control the rabbit problem the burrows were ripped. We planted a few extra native trees for future shade. The family persisted farming this land part-time until the early 2000s. We were fighting a battle against erosion and weeds and we were loosing. We were loosing the landscape's natural resources but at the time we didn't have the knowledge to do anything differently. Over the last 25 years there has been a slow ripple of farmers changing their land management practices from mechanised industrial farming methods to a regenerative farming system. 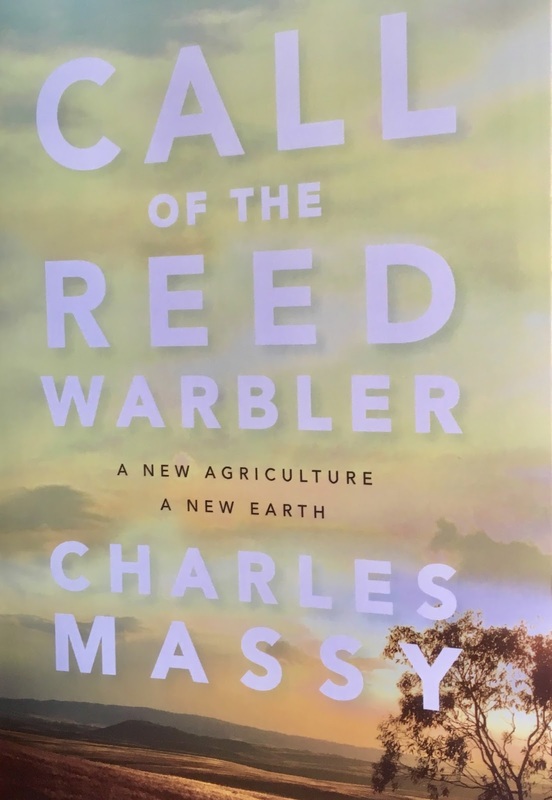 At NLA's author talk we discovered that Charles Massy's book, Call of the Reed Warbler, is a book that could be useful guide for farmers who are thinking about changing their farming methods. Part 1 The history of the landscape and mechanical farming. Part 3 The bigger picture of ourselves and the landscape. During the conversation between Charles Massy and Genevieve Jacobs I found my self nodding often at the farming stories Massy told and the information he gave about regenerative farming. Massy spoke about trans-formative change that leads to changing farming practices. In 2000 my husband and I bought a rural residential block of land (40 acres) to live on just south of Canberra. We experienced a light bulb moment while watching the ABC Landline story The Potter Plan (aired in 2000) and knew that this was something that we could do on our land. The second moment of enlightenment was reading the 2003 publication, Look After Your Natural Assets which led to us contacting Greening Australia (GA) about accessing funding to plant a windbreak around the whole the property. After our GA site visit our windbreak turned into a wildlife corridor to be part of the Bringing Birds Back program. With these new understandings about managing the farming landscape we drastically changed our practices from the ones I'd experienced on the family weekender property. We worked hard on educating ourselves about regenerating the landscape and we began to make changes to assist in the landscape's restoration. At the same time we also gathered knowledge and know how to be able to support a sustainable number of sheep on small parts of the property. Our journey began with the slow piecing together of information. However now landholders have a one stop shop in Massy's book Call of the Reed Warbler.It combines information about all five landscape functions in one book. On our journey we had to access information for each of the five landscape functions from different resources. Our journey was happening concurrently with new scientific research and farming anecdotal observations. Below are some of places we gained our regenerative knowledge from. We looked at improving the biodiversity of native plants and animals, maintaining resources in the landscape and how to add stock to the landscape while maintaining a healthy ecosystem. We began to read the landscape and participated in community groups to help inspire and educate other land owners in the region. The largest change for us was our shift in thinking - we are custodians of the landscape and we want to leave the landscape in better shape than when we began looking after it. While we sold the property in 2016 I still find the philosophy of regenerative farming interesting, plus my family has farming interests south of Canberra so any knowledge that can be shared with them is important. Massy's NLA author talk helped me to reflect on my own landscape management practices. These two topics made me ask more questions about our farming practices, especially weed management. In the process of regenerating the landscape we worked at maintaining ground cover so weeds couldn't establish themselves in the landscape but they still did and we regularly used glyphosate on the property. What other systems of management could we have tried to control the noxious weeds without using glyphosate? Have we also contributed to glyphosate entering our food system and hence contributed to my own gut and autoimmune issues? I look forward to reading Call of the Reed Warbler and learning more about regenerating landscapes and how traditional farming methods can change the structure of the food we eat and impact our health. 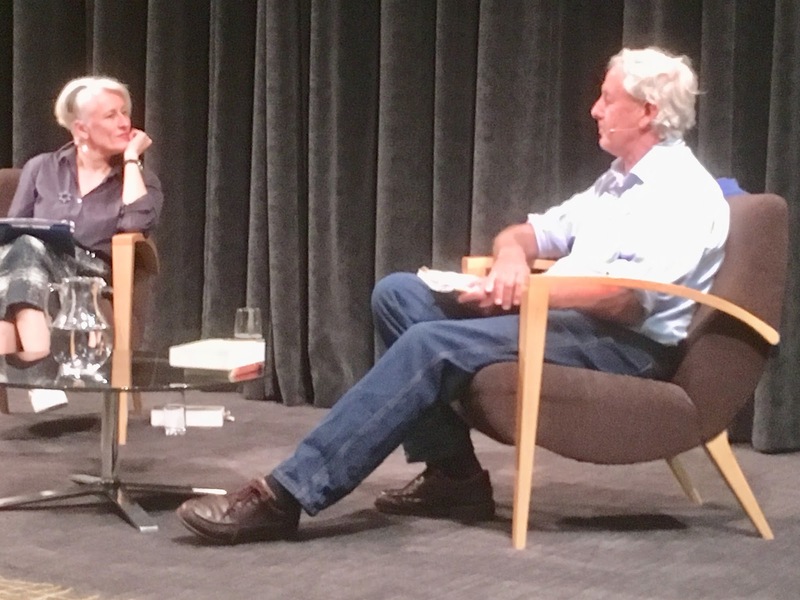 The NLA made a sound recording of the Charles Massy author talk held on 3 October 2017. The audio and transcript will be available shortly via NLA News Audio.